Where Did It All Go Wrong For David Moyes? Home Features Where Did It All Go Wrong For David Moyes? Sunderland’s recent 4-1 loss to Arsenal equalled the worst ever start to a Premier League season after ten games. In many ways it isn’t surprising. After all, David Moyes is their manager. This is not to dismiss Moyes’ managerial ability. Rather, it is a result of a curse cast by Sir Alex Ferguson in May 2013 when he chose Moyes to be his successor. Ever since, the 53-year-old has been doomed to misfortune. It was all going so well. Moyes, a former professional footballer himself, enjoyed a modest playing career which took in spells at the likes of Celtic and Dunfermline, before ending his career at Preston North End, where his managerial career also started. Preston were struggling at the foot of Division Two and Moyes led them to safety and then promotion a couple of years later. 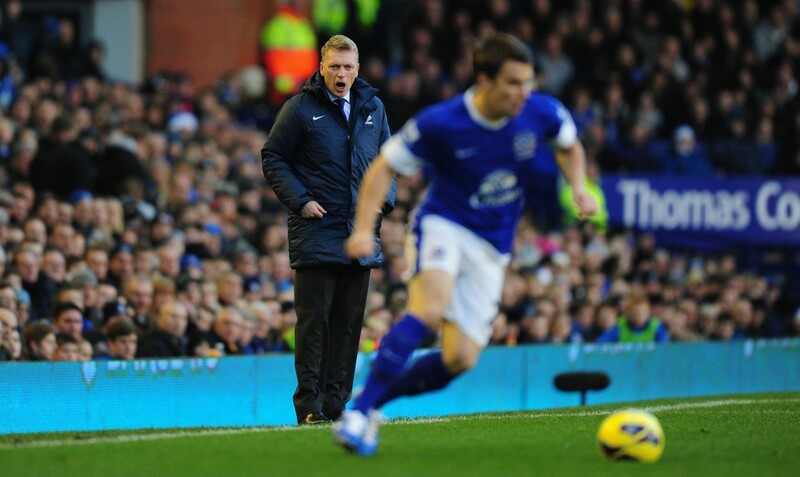 He was made Everton manager in March 2002. This was the start of a successful eleven-year stay in Merseyside. He established Everton as a regular in the top half of the table, including a fourth place finish in 2005 to qualify for the Champions League. Prudent transfers and stability allowed him to build a team that maximised their potential given relatively limited resources. Moyes’ stock was slowly rising and even in today’s fickle football environment, one feels that Moyes had built enough trust with fans and owners to continue managing Everton for another eleven years. Yet, he wanted a new and bigger challenger, which was presented to him by Ferguson. On one hand, Moyes had the fortune of inheriting a team full of winners, who had won the title with four games to spare. On the other, it was nearly impossible to follow in Ferguson’s footsteps. It is possible that Ferguson chose Moyes over much bigger names in football because he knew Moyes didn’t have the charisma or personality to outshine him and if anything would only increase his own legacy. From Moyes’ first press conferences at the club this seemed to be the case. He appeared overawed by the magnitude of the job. On the touchline, he rarely shouted at his players, a passive presence that patiently waited for this team of winners to start winning again. All the while, Ferguson sat up in the stands, trying not to wear a superior grin. This is mischievous speculation but the reality was that Moyes inherited an ageing and declining team. Paul Scholes, possibly the greatest central midfielder the Premier League has seen, had retired. Ryan Giggs, 39, could only manage the odd late match cameo. Rio Ferdinand, 34, had lost the pace and confidence that had been his forte. Nemanja Vidic, 31, was a waning force. Patrice Evra, 32, seemed to have lost both pace and motivation. The players that made up the spine of Ferguson’s team were all declining. And whether by design or neglect, Ferguson had not invested in young players to replace them. Moyes had a squad in need of a significant overhaul, on the back of a comfortable league success. He was always doomed for failure. In the end he got ten months at United, enduring a terrible season, where they didn’t even scare the top four. He could take comfort in a £5 million compensation package. But however nice the holiday margaritas were that followed, the treatment of his successors must have been irritating. The fans and media accepted Louis van Gaal’s statement that he had a ‘broken squad’ and a team in a transition that would need time to improve. Fast forward two years and over £250 million pounds in transfer fees and Jose Mourinho is still talking about a team in transition that needs time. Moyes, of course, could not say that his title-winning team were ‘broken’ or in a period of transition, without people thinking him insane. It was no surprise then that Moyes fled to Spain to take over at Real Sociedad. It seemed a wise move as his short spell at Man United had made him a figure of ridicule among the football community. His time in Spain wasn’t disastrous or successful. He had a steady first season before being sacked after a poor start to the second. It felt as though his confidence was badly damaged after the Manchester United fiasco. In July of 2016, Moyes was named as the replacement to Sam Allardyce at Sunderland. It was a risky job for someone whose career seemed to be on tenterhooks. Sunderland’s recent league positions were ominous (2013/14: 14th, 2014/15: 16th, 2015/2016: 17th). 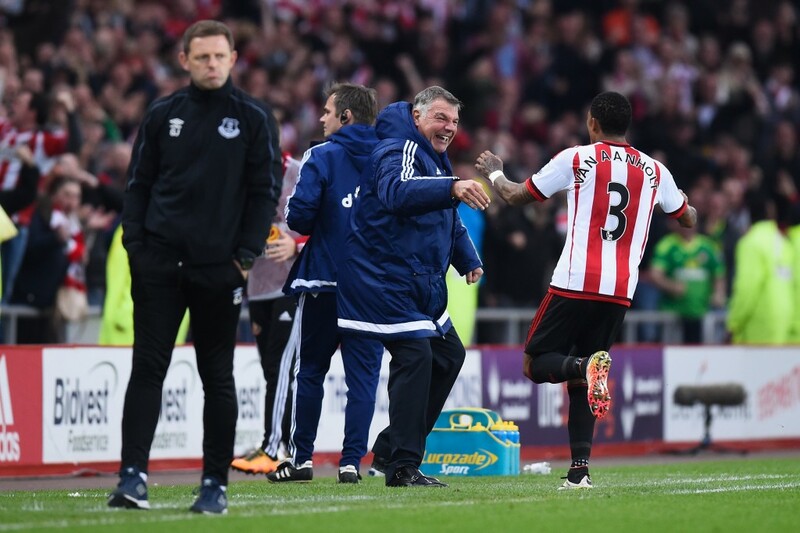 Allardyce performed a small miracle in avoiding relegation last season and it was telling how quick he accepted the England job and semi-retirement. At Sunderland, Moyes is at a club whose owners are reluctant to spend. He lacked funds at Everton too but still had an impressive record. The highlights include Tim Cahill (£1.5 million), Tim Howard (£3 million), Phil Jagielka (£4 million), Leighton Baines (£6 million), Seamus Coleman (£150,000), Steven Pienaar (£2 million) and not forgetting John Stones (£3 million). Indeed Coleman, Jagielka, Baines and up to last season, Howard, still make up the core of the Everton defence. For Sunderland, Moyes, perhaps short of confidence and panicking with the window closing, bought Papy Djilobodji and Didier N’Dong. The former having only played a single minute of football for Chelsea and the latter with no Premier League experience. It is reminiscent of the disastrous transfer window at Manchester United when he was met with rejection by every top central midfielder in Europe, only to panic and buy an Afro-haired, elbow-wielding Belgian. Sunderland’s change to their style of play this year is also noticeable. Allardye favoured a direct approach, keeping things tight and simple at the back. Whereas, Moyes, perhaps listening to his detractors at Man United who bemoaned a lack of exciting, attacking football, seems to be instructing his technically inept Sunderland players to play football in all areas of the pitch. At the start of the campaign, Moyes was criticised for saying that he expected Sunderland to be in another relegation battle this season. It was seen as a defeatist attitude that showed little ambition. For a Sunderland fan it is a depressing outlook. 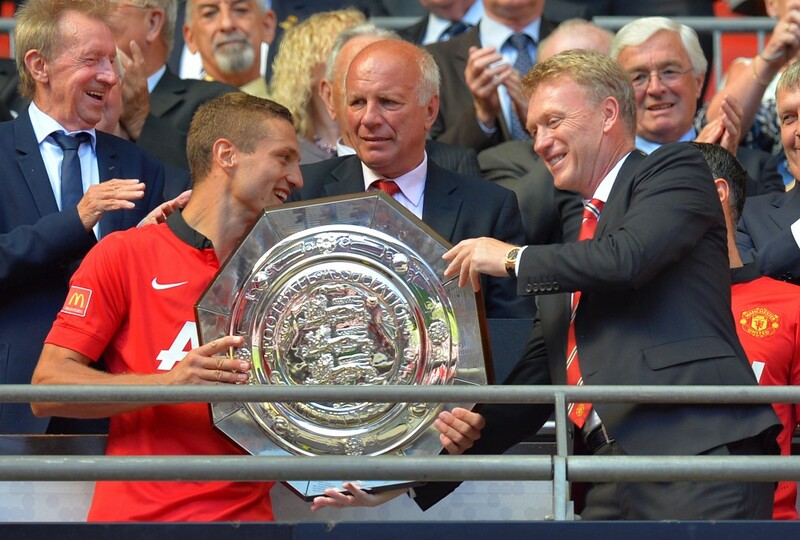 However, it is Moyes trying to quell expectations, like he wished he could have done at Manchester United. He is still coming to terms with his time there. He is a panicky and distressed man, who can no longer cross the road without looking around to make sure Sir Alex Ferguson is no longer there. 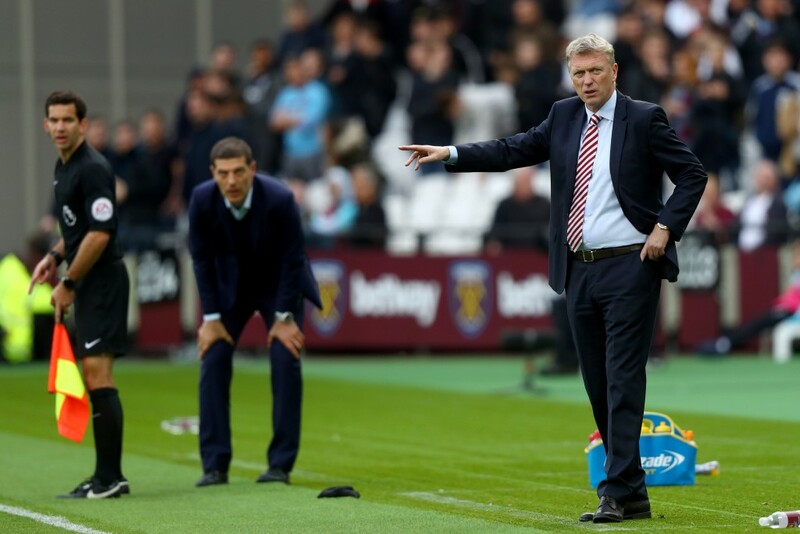 For today’s football fan, there are few sights more common than Moyes on the touchline, arms folded, glass-eyed, with a look of utter confusion. Where did it all go wrong? He seems to be pondering.